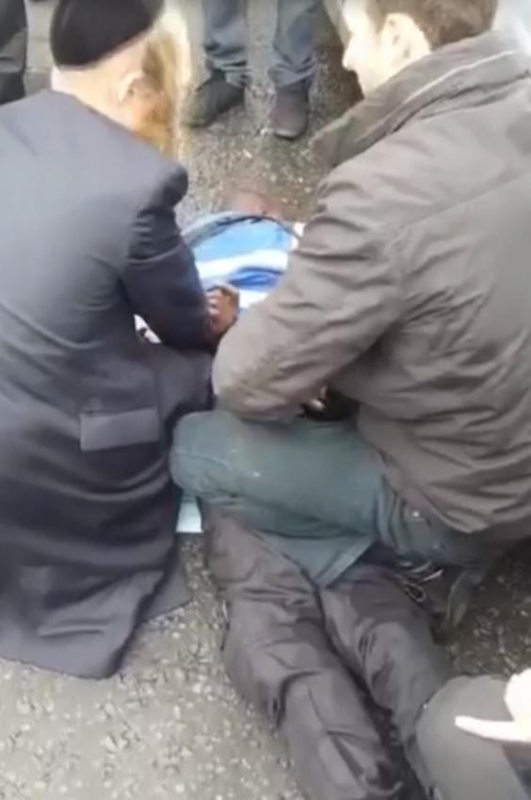 A parking warden ran over an Orthodox Jewish man with his scooter and clouted others with his crash helmet in extraordinary scenes on a street in east London. The warden apparently flew into a rage after being confronted by a group of Jewish men in Hackney, hitting several people with his helmet and radio before being bundled to the ground and restrained. He ran over a man with his moped after being told that he was going to be reported to council bosses for misconduct, witnesses say. CCTV footage shows the parking warden, wearing an official blue tabbard and white helmet, clatter into a man wearing traditional Jewish attire with his moped. Onlookers allege he deliberately accelerated into him. The scooter runs over the man and goes up on its back wheel before hitting a parked car. In further chaotic scenes, the warden is surrounded by up to ten Jewish men, and he lashes out at them with his crash helmet in an apparent rage. He was eventually thrown to the ground and restrained by members of the public. However, bystanders reported that the warden had been “surrounded” by a group of around eight to 10 Orthodox Jews before the attack. 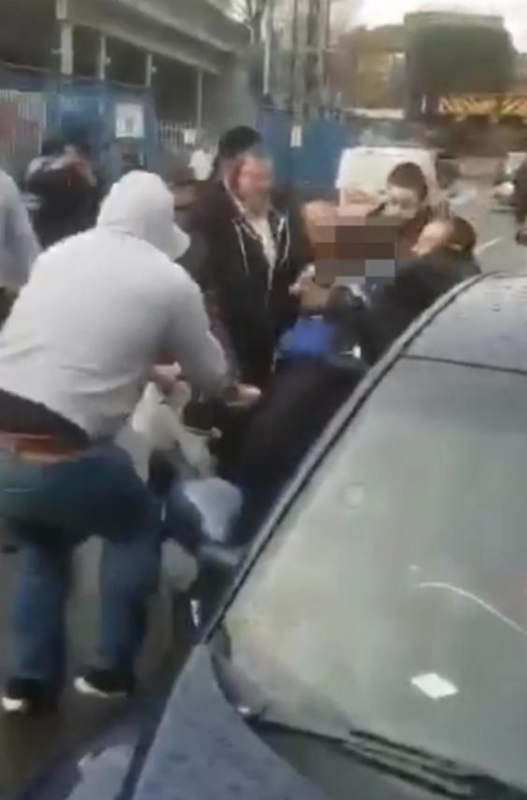 Onlookers claim the group “jostled” the man and “repeatedly followed him” before allegedly blocking him into a parking space with a car. The warden made a desperate plea for help into his radio, according to some witnesses. But members of the group were said to have “shouted over the top to prevent him from being heard”. Scotland Yard confirmed officers had been called to the road at 1.50pm to reports of an altercation. Four men, aged in their 20s and 30s, suffered minor injuries. A 30-year-old man was arrested on suspicion of grievous bodily harm. He has been bailed until a date in mid-February.